Getting a Glastonbury ticket was a stressful experience which involved three hours of meticulously coordinated group effort and webpage refreshing. Despite this, the relief of procuring one of these sought-after tickets was great. 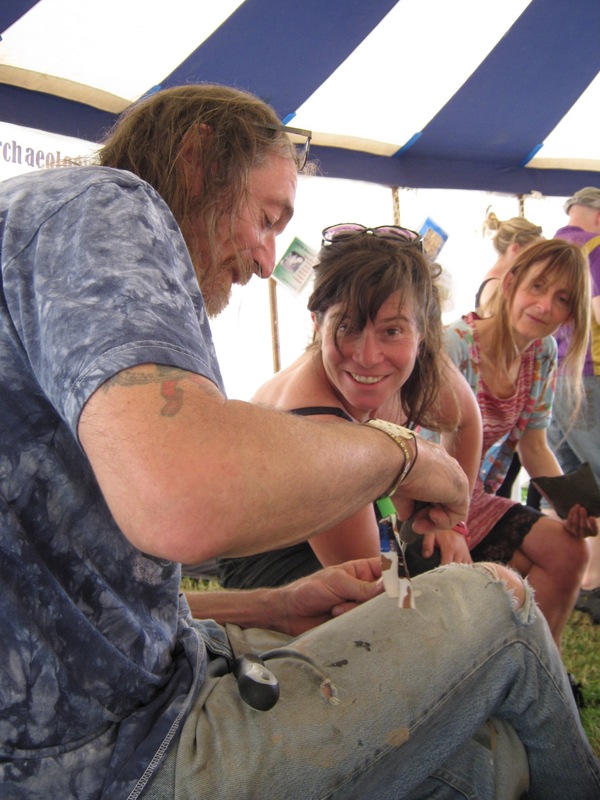 Skip forward several months and it turns out that Guerrilla Archaeology, too, were attending Glastonbury and needed people to help out. So I found myself in the privileged position of having my ticket to the greatest British music festival paid for, with the only condition being that I devoted some time to talk to people about archaeology. 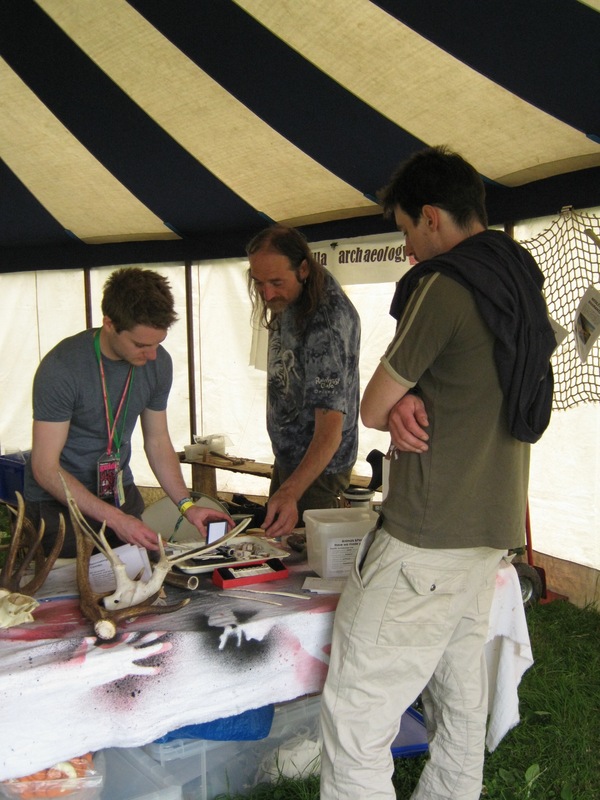 In particular to chat about antler artefact production, the role of craft and red deer and to help people make their own Viking-inspired antler rings (all based on Cardiff University Archaeology research). My main role was to grab people’s attention, explain the importance of antler as a resource to past societies and goad them into making an antler ring to take away. The crafting of rings was facilitated by Ian, Cardiff’s resident illustrator and craftsman extraordinaire, and there were some amazing designs created over the course of the week. The experience was very rewarding, and it is always a great feeling when someone is genuinely interested in what you have to say (or impressively good at pretending to be). Learning about the past is a truly grounding experience, and from outreach events like this, people can really get a sense of our shared heritage. The fascination people have when discovering the past is an incredibly rich and satisfying experience to be part of, and the fact that the whole activity and engagement was anchored around a physical object meant that people gained something to keep, remember and show off to their friends. 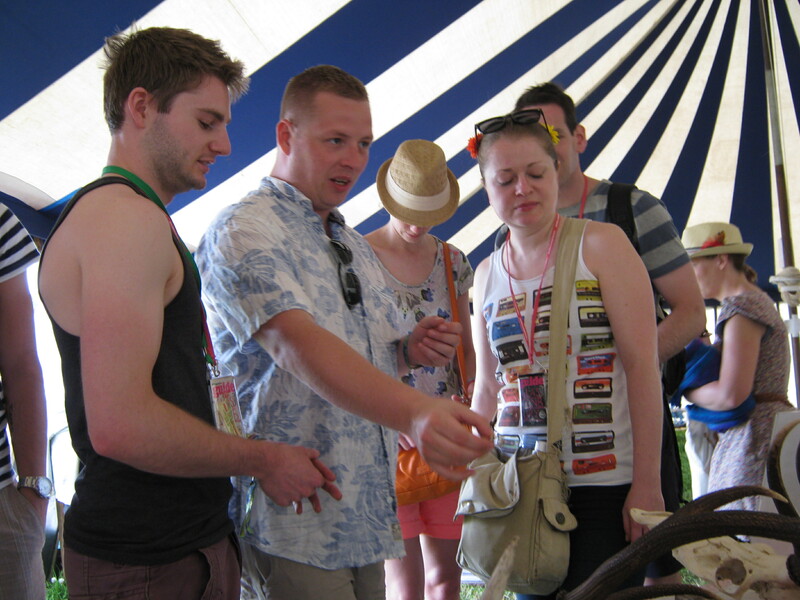 All in all, the experience at Glastonbury was very memorable, and it was amazing to be part of it. I will be hoping to return in 2014. 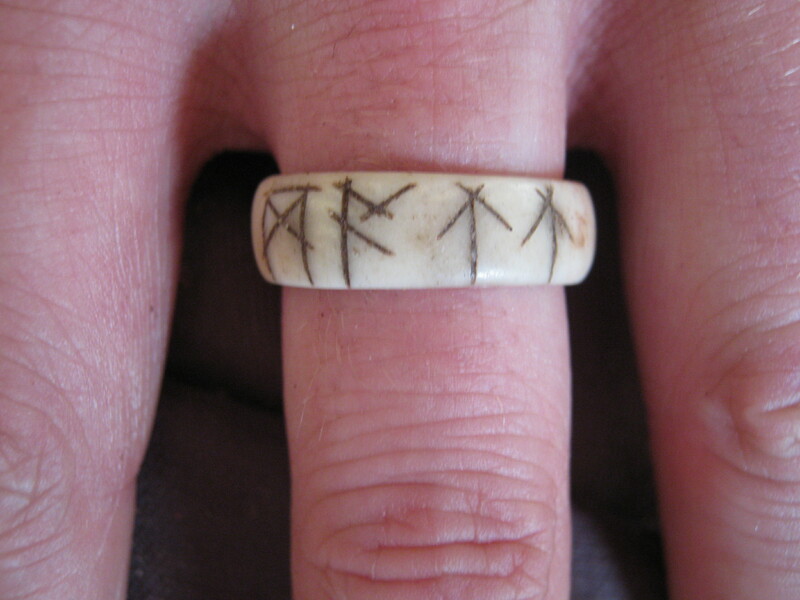 I wear my own antler ring daily, and have explained its story to numerous interested individuals, as I hope many of the people who took part in the workshop also have. Yes ! Hands on experience in archaeology and ancient artifacts is always rewarding.